Musical prodigies are most often associated with classical music, but by definition, such prodigies are natural talents and not restricted to one musical genre. A natural-born singer with a voice that can only be described as a gift from the Heavens, Rashid Behbudov remains an incredible and rare talent. His voice pierces through the heart to unlock emotions and sentiments of intense power, and yet this artist shows acute vulnerability. Rashid Behbudov carried the glory of his native Azerbaijan throughout the world. The great singer toured extensively, delivering concerts in Bulgaria, Hungary, Italy, India, China, Syria, Turkey, Egypt, Jordan, Iran, Iraq, Finland, Poland and Latin America. He started and ended his concerts with the song ‘Azerbaijan’. His fantastic voice did not recognize nationality or language. Behbudov used to sing songs in many languages, connecting this way to his audience as he toured the world. He sang in more than nine languages including Urdu and Bengali. Behbudov’s musical abilities were evident even at the school, where he was singing in the choir. While studying in the railway technical school, he created a student orchestra, and then became a soloist in the army ensemble. During the Great Patriotic War, Behbudov performed at the front. His beautiful voice let him sang songs of any genre including popular hits, folk songs and classical music. With his charming velvet voice, Behbudov won fame by the age of 30. He was already known as a soloist of variety orchestras, but the fame that came after the film ‘The Cloth Peddler’ changed his whole life. The brilliant voice gained wide acclaim due to his lead role in the musical comedy ‘Arshin Mal Alan’ ( The Cloth Peddler), filmed based on the operetta by Uzeyir Hajibeyli. A touching love story could not leave the viewer indifferent. He was not on the list of performers, but by a lucky chance one of the film's directors was at a concert, where Behbudov sang an aria written for the main character and decided to give him the lead role. This is how Rashid's dream came true: ‘The Cloth Peddler’ was one of his favorite works since childhood. Songs, couplets and arias from this wonderful musical comedy often sounded at his concerts. Critics claimed that Behbudov`s voice is a very high lyrical tenor, a pleasant gentle and warm timbre, a wide range, combining European vocal style and free guttural singing, characteristic of mugham improvisation. In the 1940s, prominent national composer Tofig Guliyev began creative collaboration with the eminent singer.Creative duet had concert tours in many cities, which were followed by great success. However he was not just a pop singer. 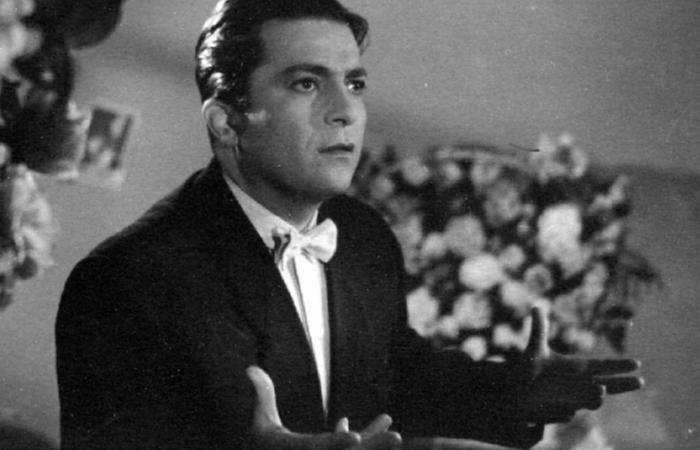 He performed extremely complicated opera roles, including the role of Balash in Fikrat Amirov's opera, "Sevil" (1953). The opera is characterized by its bright and colorful national melodies. Talented singer demonstrated an unusual brilliancy for this he was awarded the coveted title of ‘People's Artist of the USSR’. His great artistic talent and charm, ability to understand any national music brought pop singer a huge success. He also created an ensemble at the Azerbaijan Philharmonic, combining the stylistics of jazz and Azerbaijani folk instruments, and then the Azerbaijan Song Theater, which still bears his name. December 14 marks 102 years since the birth of prominent Azerbaijan opera and pop singer, whose extraordinary vocal talent and natural artistry conquered the hearts of millions. One of the greatest musicians of all time died on June 9, 1989. A monument to the world-renowned Azerbaijani singer was unveiled in Baku last year. The 3-meter high-monument in front of the State Song Theatre named after the world-famous singer was made by People's Artist of Azerbaijan, Vice Rector of Azerbaijan State Academy of Arts, Professor Fuad Salayev.